Last week, Florida’s Supreme Court ruled that arbitrary caps on awards to medical malpractice victims are unconstitutional. 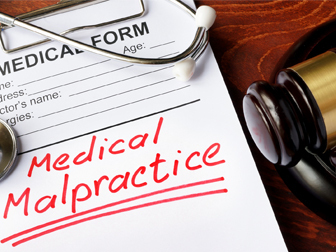 The court, in a 4-3 ruling, found that the cap enacted in 2003 did not prove to reduce malpractice insurance rates. Instead, this cap unfairly impacted the most severely affected by a doctor’s negligence. The 2003 cap limited non-economic damages, such as damages for pain and suffering, against physicians to $500,000 or $1M if the injuries were catastrophic. Considered one of former Governor Jeb Bush’s major policy victories back in 2003, the justices were divided with the four-member majority finding that the cap on non-economic damages violated equal —protection rights, also de-bunking the justification that lawmakers used back in 2003 about any relationship between such awards and insurance rates. The case which was the subject of the court’s ruling involved a victim who was severely injured when an anesthesia tube puncture her esophagus during a carpal tunnel surgery at a Broward County hospital. Doctors never noticed the injury. Post-operatively, the patient complained about severe back and chest pain, and her physician gave her pain medication and released her from the hospital. A day later she was found unconscious by a neighbor and remained in a drug- induced coma for weeks, followed by additional surgeries and intensive therapy to be able to eat again according to court documents. Although a lower court judge determined that the plaintiff’s injuries were catastrophic, due to the Medical Malpractice cap and a separate law that limited the government-run hospital’s liability to $100K, the jury’s verdict was reduced by about $3.3M. The Florida Supreme Court found that such a reduction violated the equal protection clause of the constitution.